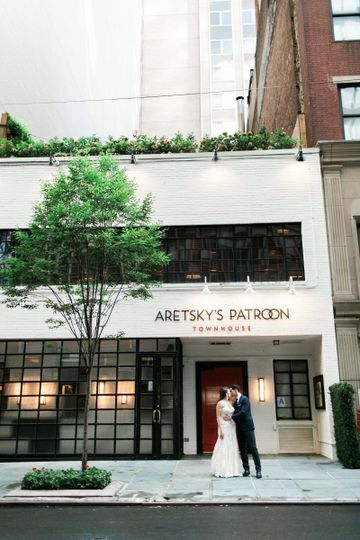 Aretsky's Patroon Townhouse is a modern wedding venue in New York, New York. 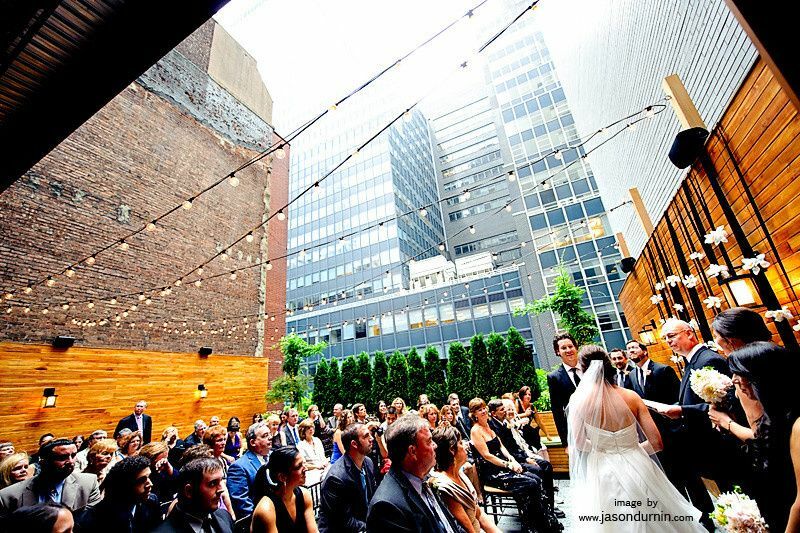 Nestled in the heart of New York City, this venue offers iconic city vibes that you and your guests will enjoy. 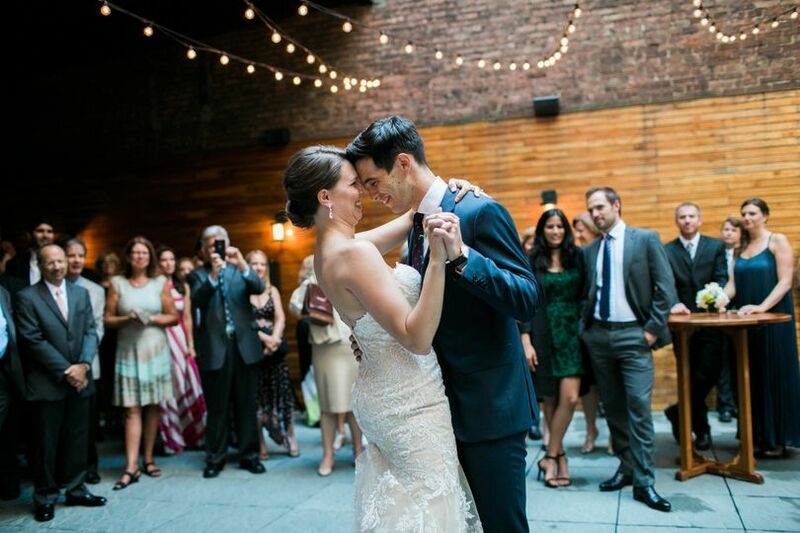 Make unforgettable memories on your big day, dancing the night away under the twinkling lights of surrounding skyscrapers. Couples looking for a modern and contemporary atmosphere that is still warm and inviting have come to the right place. When booking with Aretsky’s Patroon Townhouse, you get to take over the entire townhouse for your special occasion. However, if you would like to only use one of their more intimate rooms for a private dinner, you can do that as well. 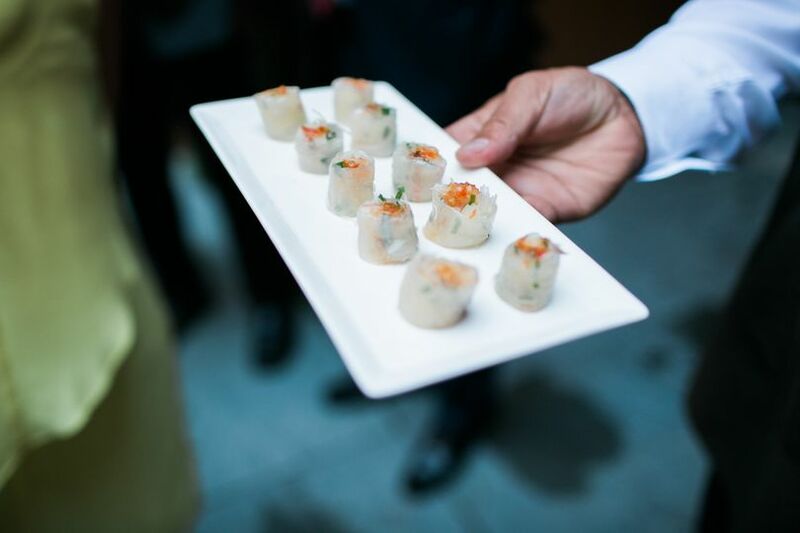 The possibilities are endless when designing your big event. Their Main Dining Room is located on the first floor of the townhouse. This space can seat up to 100 people or a maximum of 125 guests for a standing-style cocktail reception. Their Gibson, Sporting and Match Rooms are located on the second floor. They all open into each other, creating an “L” shape. 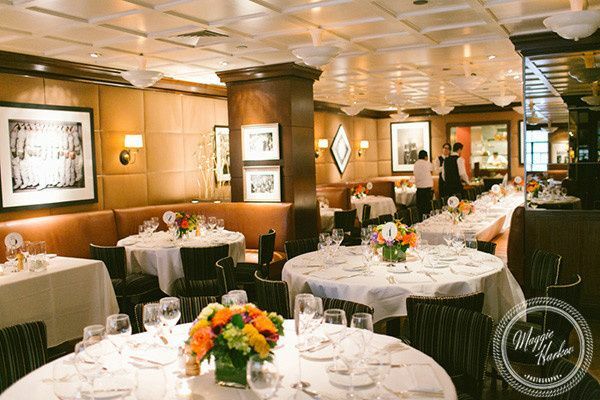 These rooms can accommodate 60 people for a seated dinner, with space available for mingling. However, if you use all three spaces together, they can accommodate up to 96 people for a seated dinner and 130 for a cocktail reception. 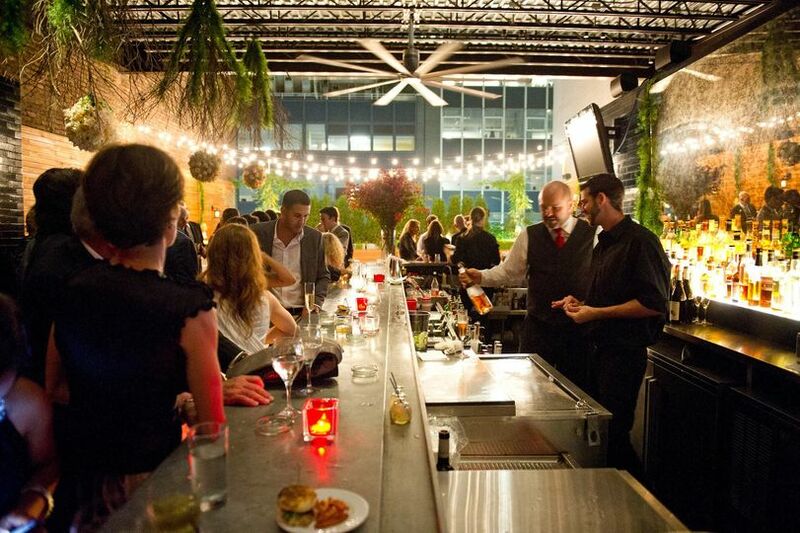 The venue's Rooftop Terrace is designed for more intimate gatherings with your closest family and friends. The space can hold up to 60 guests for a seated dinner, with room for mingling, or up to 150 guests for a cocktail reception. Host your rehearsal dinner during the week and then transform the townhouse to make it your own for your weekend celebration. I can't say enough good things about Aretsky's Patroon. 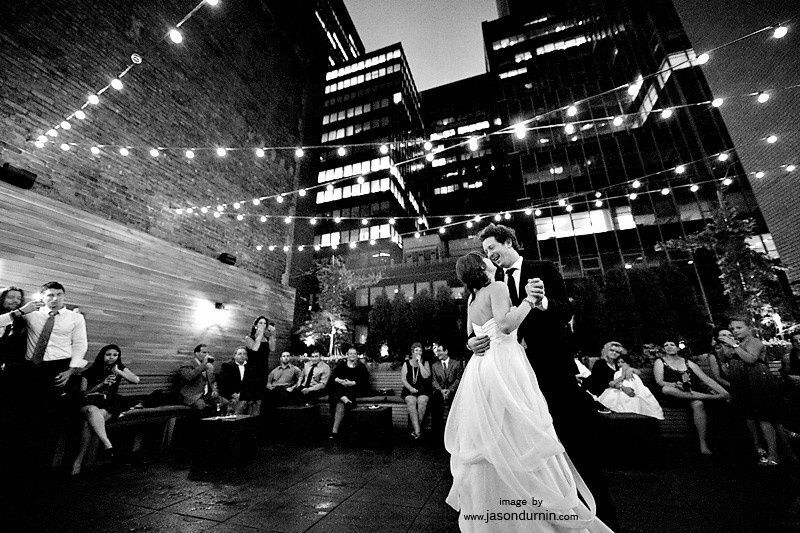 We had our reception there, and the moment I saw it, I fell in love with the building and the decor. 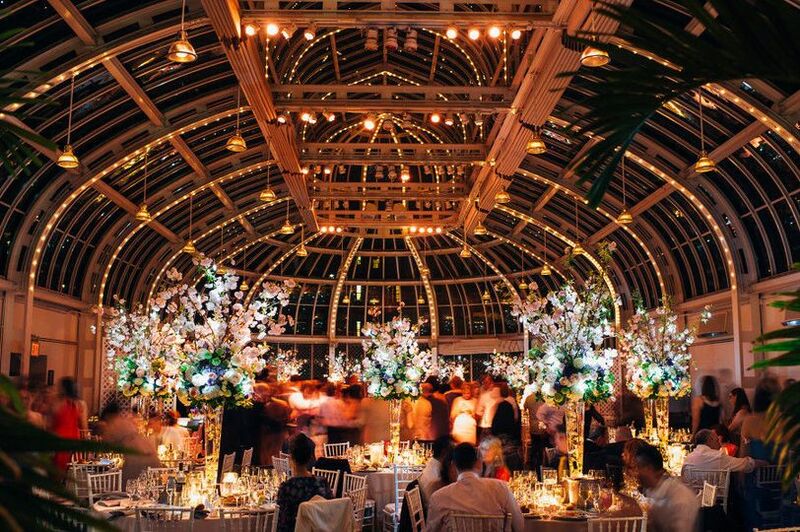 For our wedding, we used the second-floor dining rooms and the roof, which is partially open, beautifully furnished and lined with greenery. Dinner was incredible, and their pastry chef also made our delicious wedding cake based on the [admittedly less-than-common] flavors I said I liked. Most importantly, though, the staff was really wonderful to work with. Planning was a breeze even though this was a destination wedding, and in addition to guiding me through the process and helping me make the right decisions for our wedding, Elena also provided great recommendations for other vendors (including our DJ, who we loved). The team there did a perfect job setting up for the event, and even our guests commented on how great the staff who was working that night was. I really highly recommend Aretsky's Patroon for events, and look forward to going back to New York to celebrate future anniversaries there. I cannot say enough wonderful things about Aretsky’s Patroon! 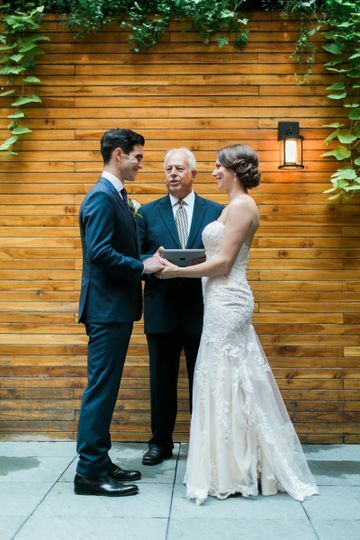 Elena was such a pleasure to work with in coordinating our ceremony and reception, and the entire staff was warm, professional and friendly throughout the planning process and made the day of run so smoothly. We look forward to celebrating our anniversary there for years to come! Beautiful restaurant, professional friendly service, and just a delight to work with! Highly recommend!! Didn't know it could have been this great!! Seriously! Patroon is one of our neighbors in midtown and until someone introduced us I had no idea this amazing restaurant was so close to us. I was so happy to find them! Patroon has the most amazing private rooms and seems so small from the outside but once you&apos;re inside you find they have six rooms in various sizes. We have been working with their events team for the last year on corporate events as well as intimate weddings. 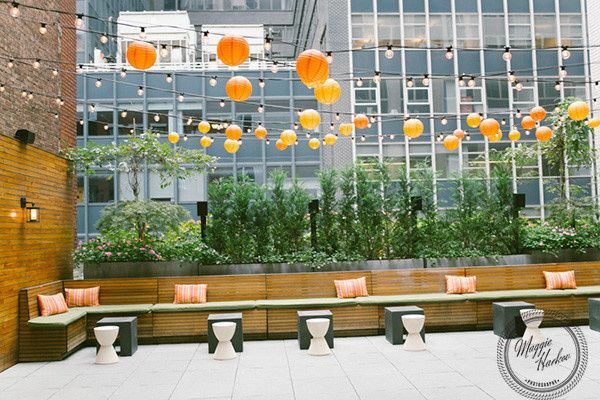 Their outdoor rooftop is a spectacular oasis in midtown that is perfect for cocktail receptions and ceremonies on the weekend. The best part is that you have the entire venue to yourself. Emily and Katrina are so easy to work with and understand why so many brides and grooms are choosing Patroon for their wedding reception.